Mike and I have had a copy of Charcuterie in our collection of food and cookery books for almost as long as we’ve been together. This sort of “project cooking” hasn’t traditionally been my thing (although I did make our first batch of house-cured salmon from the book before someone decided to take over), but Mike loves it, and has taken on many curing projects over the years, among them making bacon and a steady supply of duck confit. Of course, the last several months have found us taking on all sorts of cooking projects together that I never imagined we would: we got bit hard by the canning bug, and we’re even beginning to experiment with lactofermentation, making saurkraut and soon, I hope, kimchi at home. 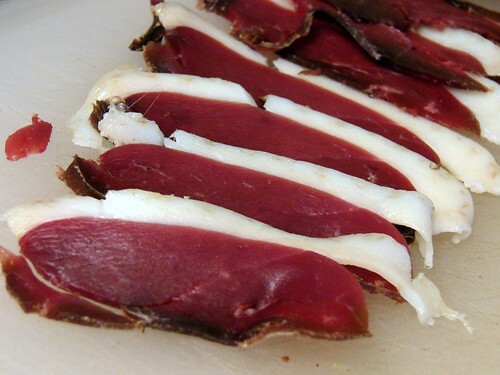 So when our friends Cathy and Kim launched what would turn into this incredible sensation, this celebration of cured meats called Charcutepalooza, we were immediately on board. Mike did the bulk of the heavy lifting for this first challenge, and can I just say wow, his breasts are not only gorgeous, but they are delicious (fnar, fnar). As for me, aside from tying the buggers up in their cheesecloth to hang at the beginning of the challenge, I’ve had little to do with those duck breasts but to slice, eat, and enjoy. Oh, and to come up with some fun ways to use this lovely prosciutto. 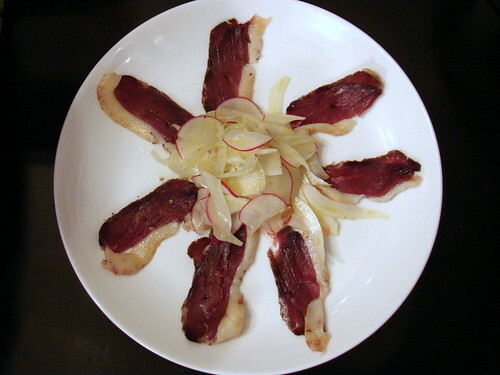 I typically think simple preparations are best when you want to highlight something made with so much care, so for our first dish, I took inspiration from the shaved fennel salad I like to serve with bresaola. I shaved fennel bulb very thin using a mandolin, and shaved thin slices of radish as well, then combined the two and tossed them with a zippy Meyer lemon vinaigrette – just fresh Meyer lemon juice, our best olive oil, sea salt, and plenty of freshly cracked black pepper. I mounded it in the middle of a plate and placed thin slices of the prosciutto around the edges. We ate with our fingers, wrapping bites of the crisp salad up with the prosciutto slices, a delicious combination. For several days thereafter, the prosciutto sat (mostly) untouched, as we were “on a cleanse”, but this morning I awoke with an idea I couldn’t get out of my head: Duck. Duck. Goose. 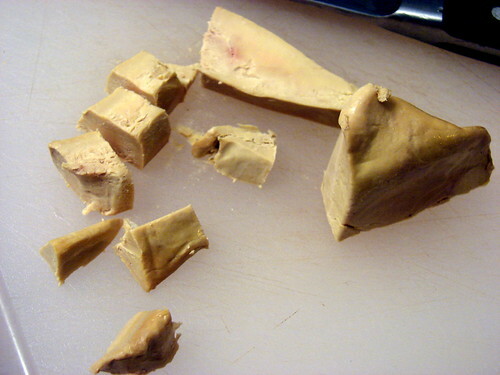 We had a nub of foie gras in the freezer, left over from our Christmas Day wellingtons. 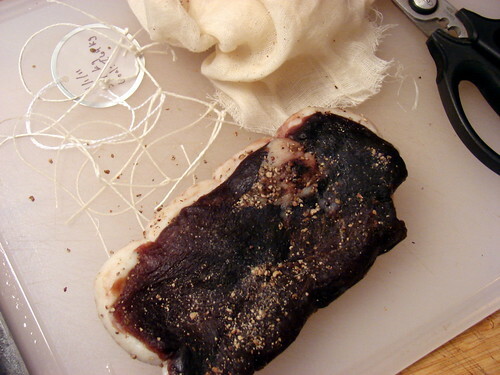 We had the duck prosciutto, of course. And though we typically have Mike’s own duck confit in the fridge, we were fresh out, so we picked up a leg at Persimmon Provisions and when we got home from our food and drink-procuring rounds, I got to work. I pulled the confit meat from the bone, mincing it fine, then added shallot, fresh savory, a beaten egg and a small amount of dry breadcrumbs to the mix. 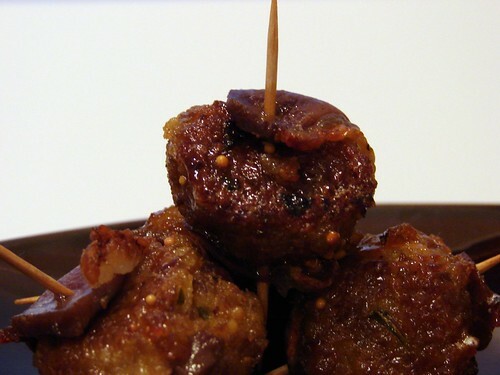 I formed the mixture into cocktail-sized meatballs, each one stuffed with a nugget of foie. 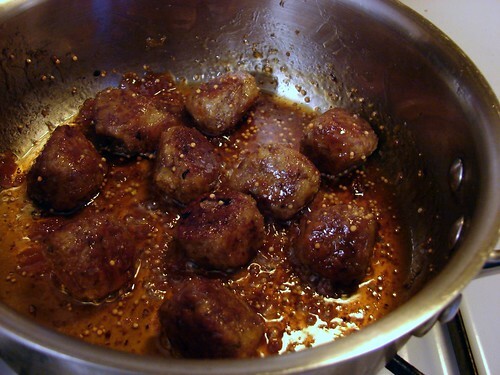 I melted duck fat in our iron skillet, gently browning the meatballs on all sides, then drained them on paper towels while I prepared a glaze – fig jam and white balsamic, mustard seeds and fresh ground pepper, sticky, tangy and fruity but not too sweet. The meatballs went in until they were nicely coated, then I removed them and wrapped each one in a sheet of the duck prosciutto, threading a toothpick through to secure them. After a minute or three under the broiler they were ready to eat, the foie having melted into the rich ducky meatballs, the prosciutto having been rendered crisp and brown at the edges. Little bites of heaven (now with recipe!). The Charcutepalooza February Challenge is up, and I’ve got a five pound slab of Pat’s Pastured pork belly in the fridge. I’m taking the lead on this one, and I couldn’t be more excited (but we just might have a little something extra up our sleeves – stay tuned). Oset and eat it. Great Job! This is a palooza of a post. Wow. If only I had some foie in the fridge. Awesome job on everything…and those meatballs look amazing! sounds like you’re getting your cooking/culinary creating groove back…you go, girl! Those meatballs look so amazing! I may have to try to make these for myself. Wow! 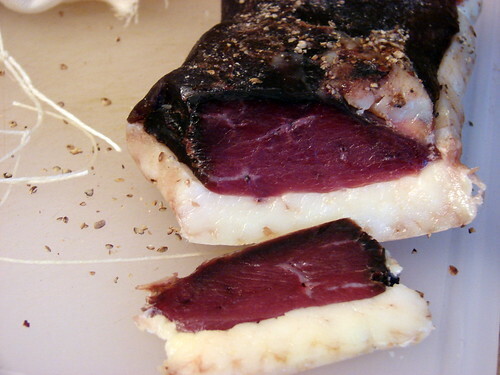 I feel like I just had a religious experience reading about your duck prosciutto-foiegras-confit meatballs!! My mouth is literally watering! 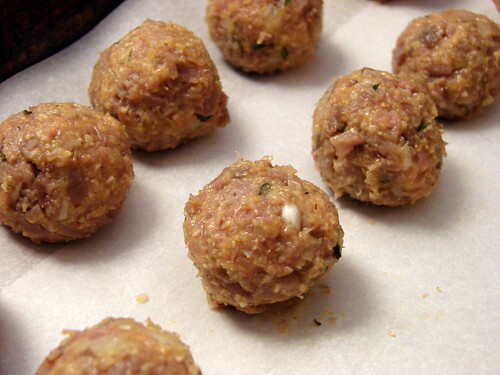 Wow, I had not thought of crisping the duck up around meatballs. Fabulous! i am so there with your little meatballs. on my list- sans foie— my little duck breasts were small, but aren’t quite ready yet, the confit yes! OHMYGOODNESS to the meatballs. Seriously lady, you’re amazing. Wowza! Just lovely! Thanks for the continuing inspiration. 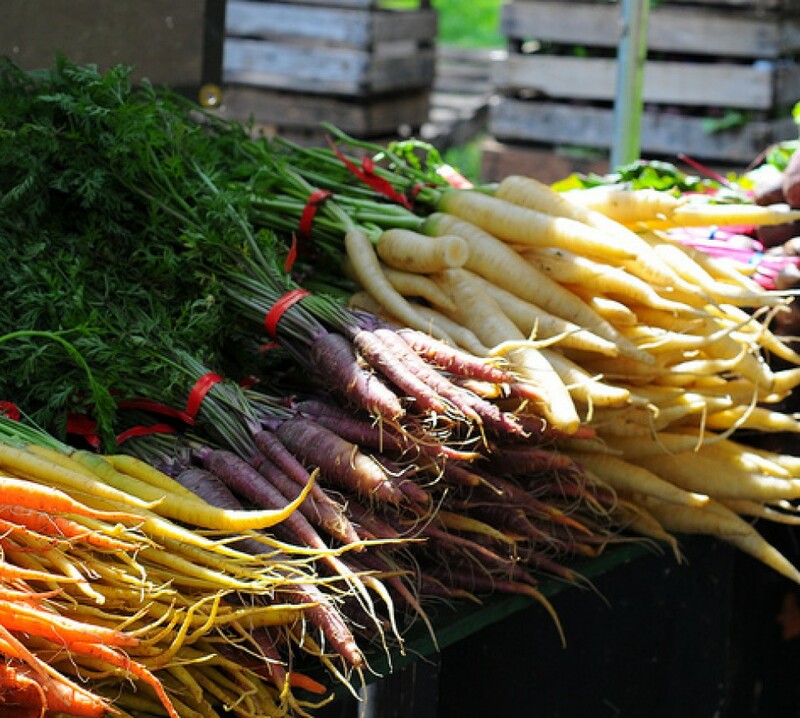 We are still trying to get the ball rolling on canning beyond refrigerator pickling. My husband has a desktop autoclave he’s been itching to use, so I figure canning is a good choice. Wow, both the proscuitto and the meatballs look just amazing. I got a little choked up there! Totally sick, in the best possible way of course. Brava! So, I’m curious… did you like the cleanse? Was it worth it? Did you feel better at the end of it? Lose any weight? Feel more refreshed, less tired? I was thinking of trying it this week, but it has a lot of stuff that I don’t normally eat and it looks like a lot of cooking. So… was it worth it, would you recommend it? Foie gras, duck prosciutto, duck confit, fig jam and white balsamic all in the same pan? Wicked good! JL – the cleanse was more of an annoyance than anything. We did get a few good dishes out of it, but I think overall we were disappointed (and we didn’t end up finishing our planned 10 days). The breakfasts and lunches were largely impractical for me, and we didn’t feel any sort of physical benefit. I actually felt worse at the end, probably because I wasn’t giving my body what it was asking for. This looks gorgeous! 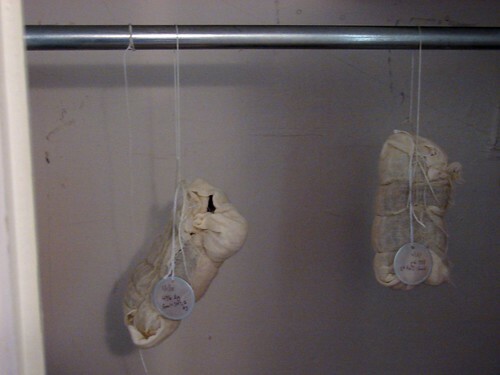 I actually used to live in Providence and am now in NYC…hunting for odd corners to hang my charcuterie. Enjoy the space and the fresh Ocean State air! you are now my hero. all that I can think to say right now is “wow”. Wow! Drooling over every single thing on here. I love the light starter and descent to outright decadence. If you could get IKEA to buy that recipe, you’d be set for life. I’d buy furniture with umlauts just so I could eat them.